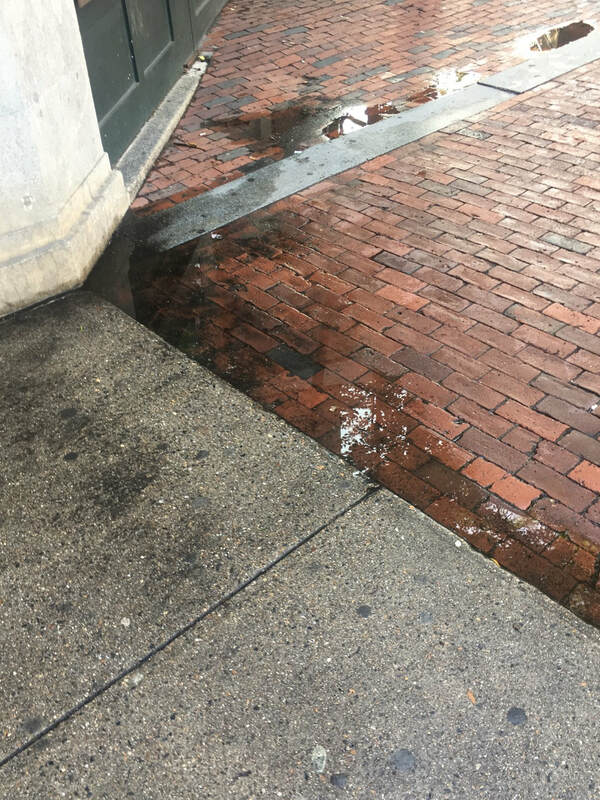 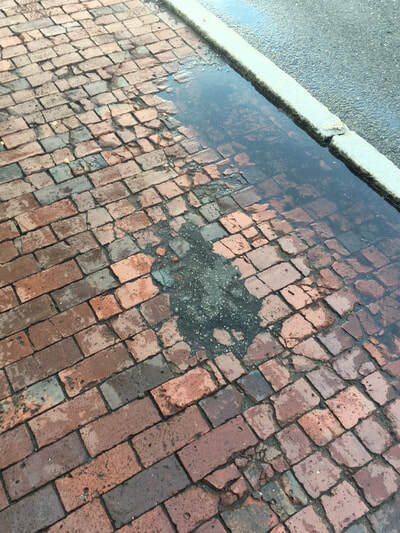 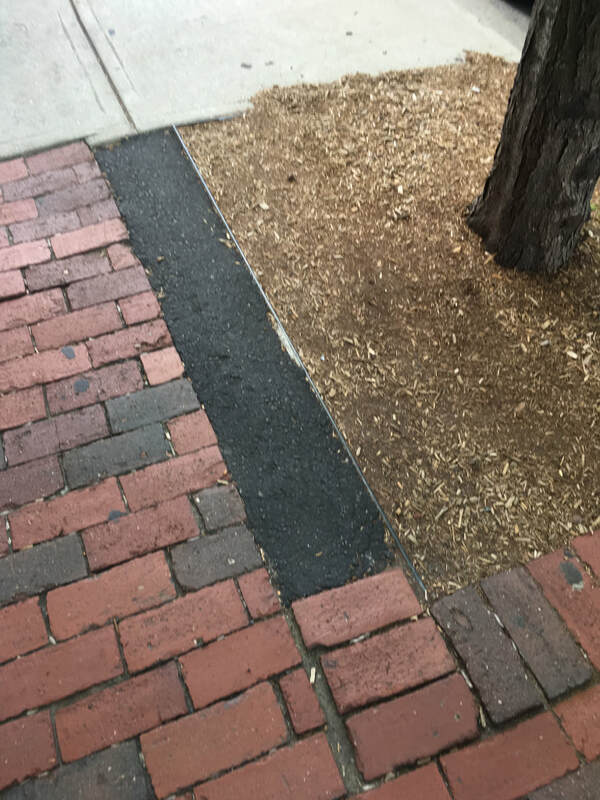 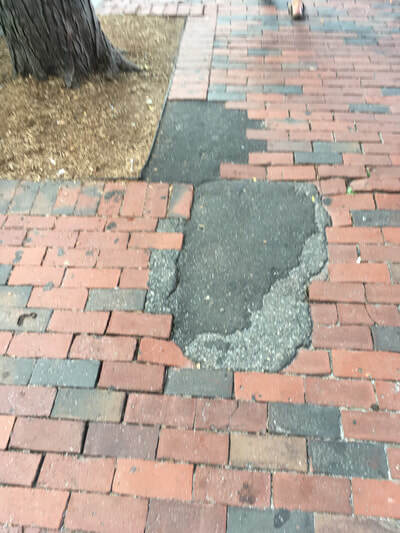 Numerous sections of Davis Square's sidewalks are in acceptable condition, some sections are good. 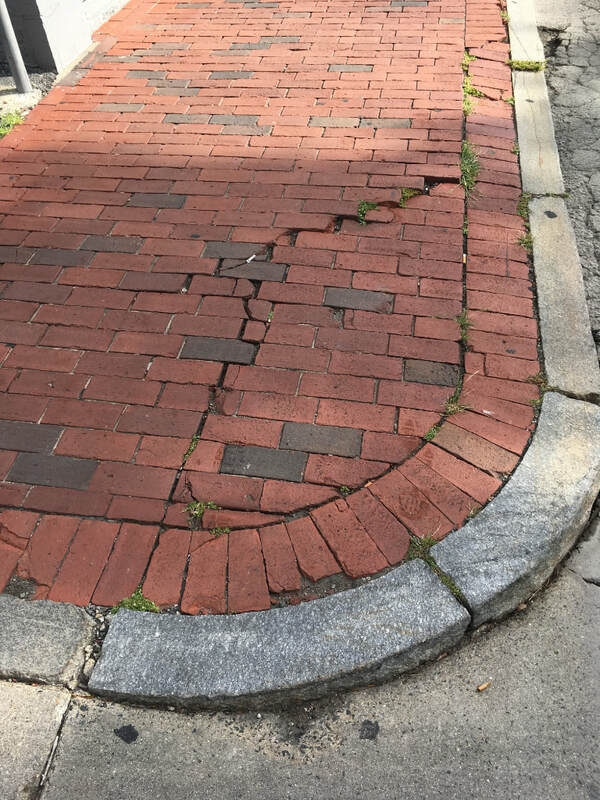 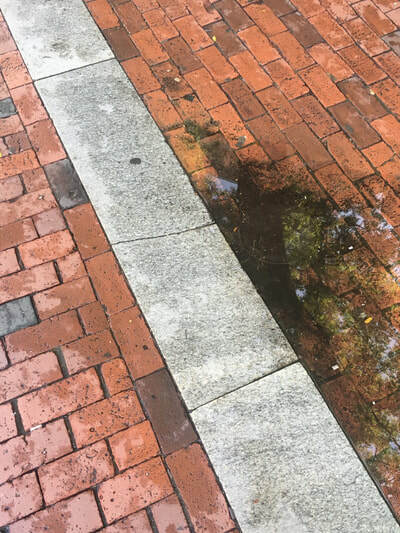 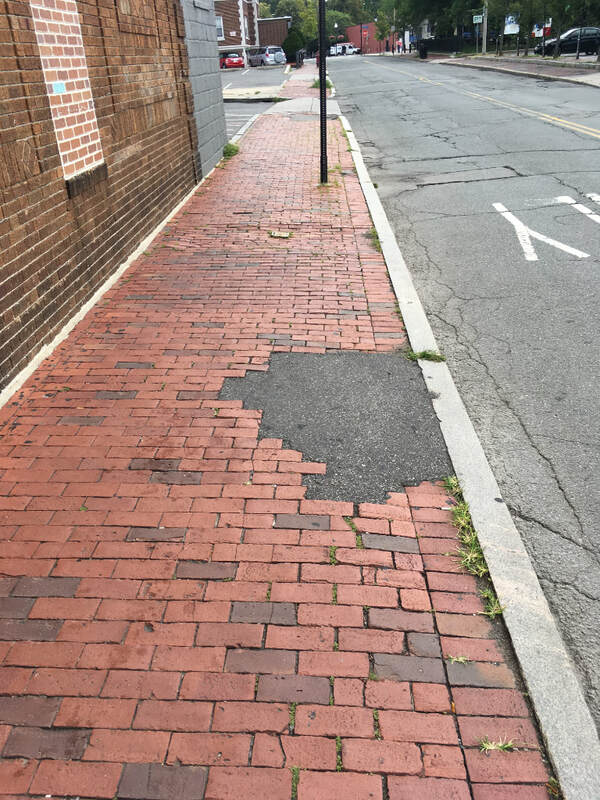 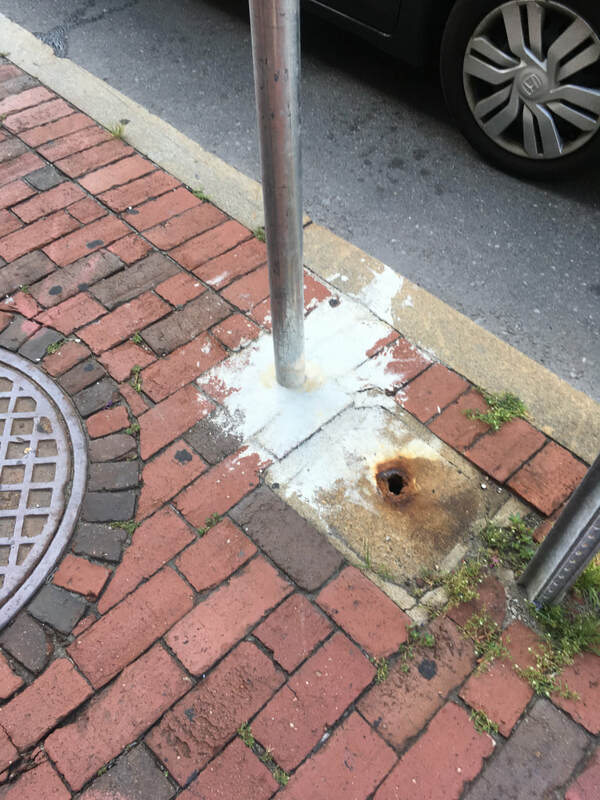 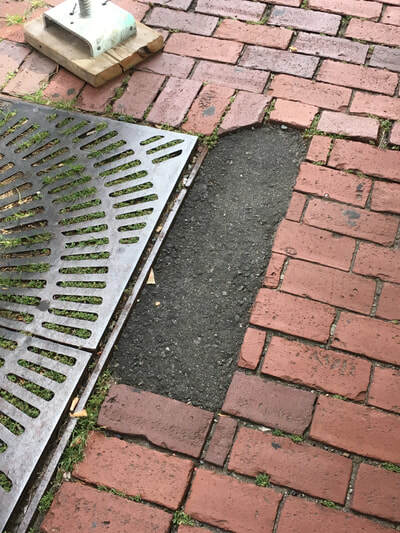 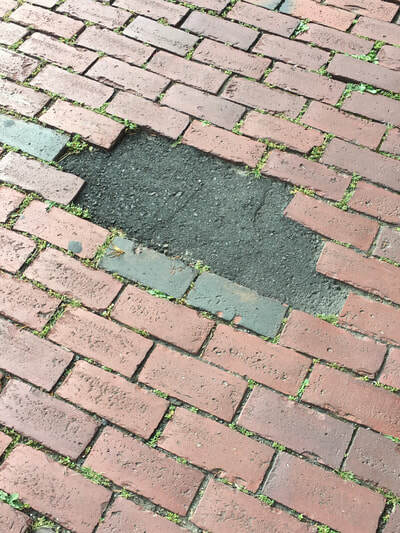 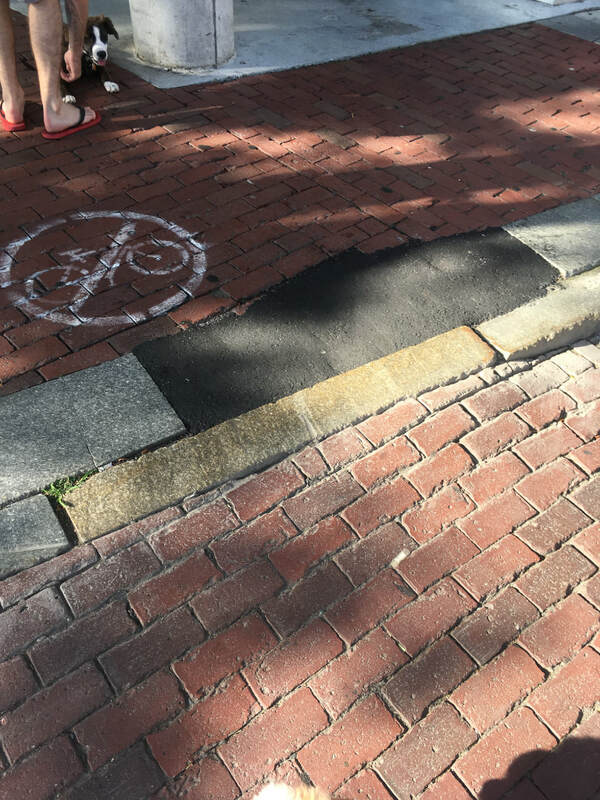 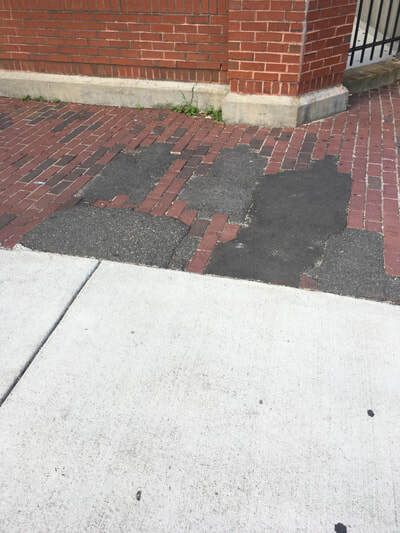 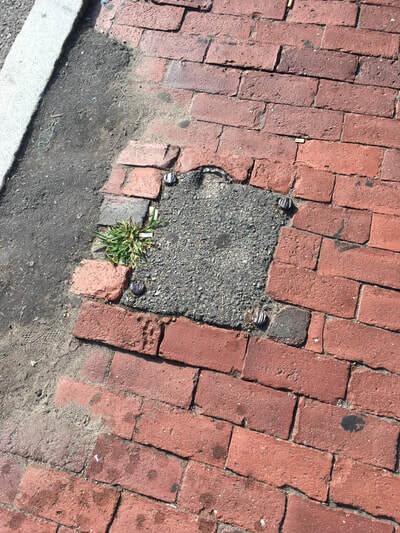 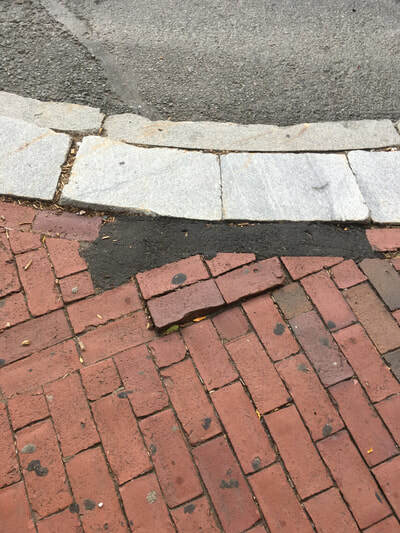 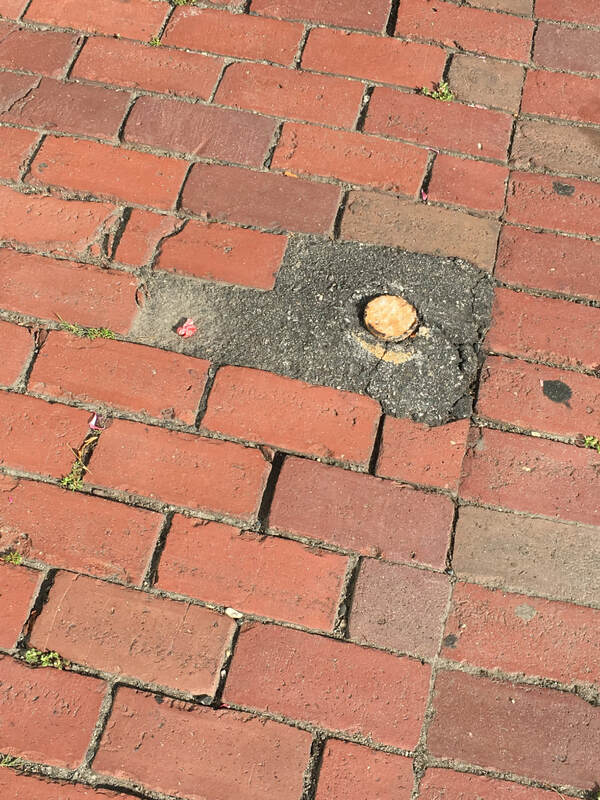 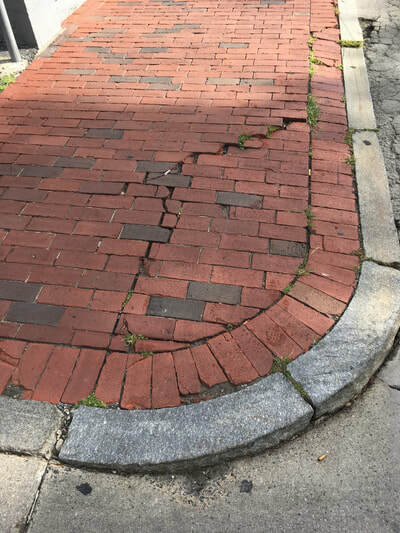 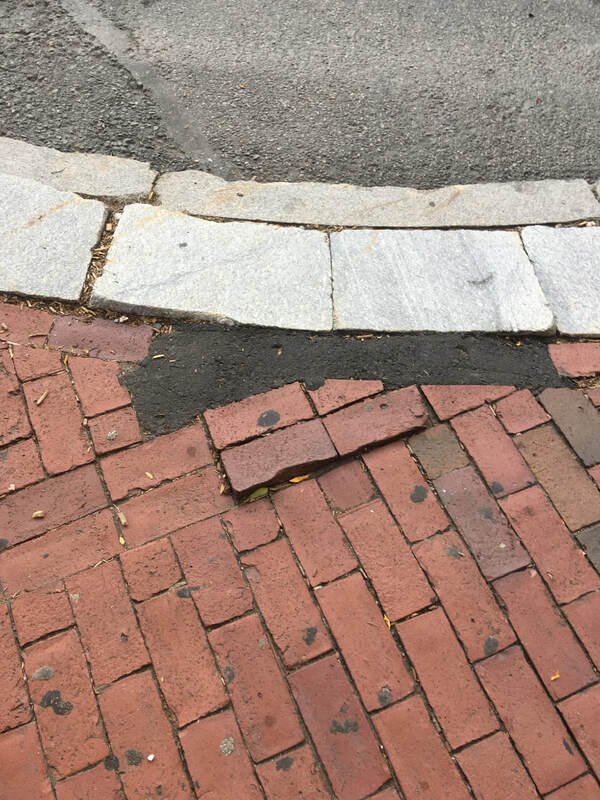 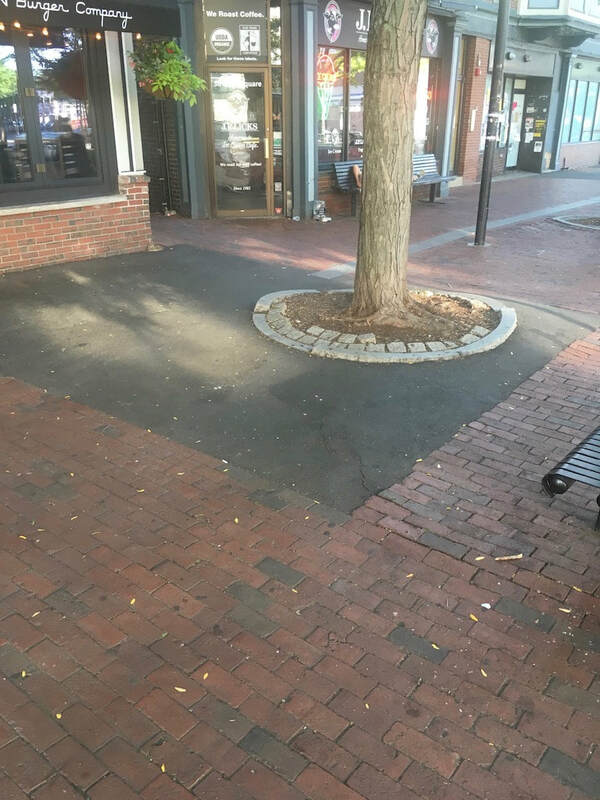 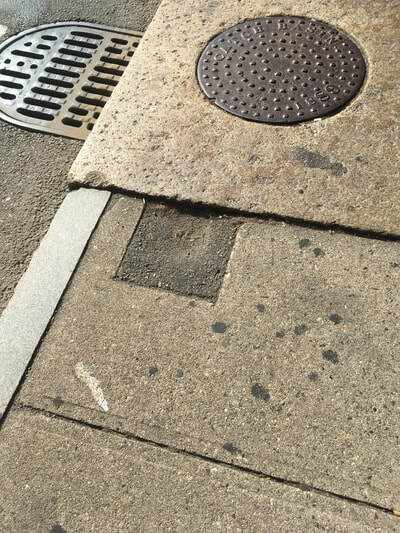 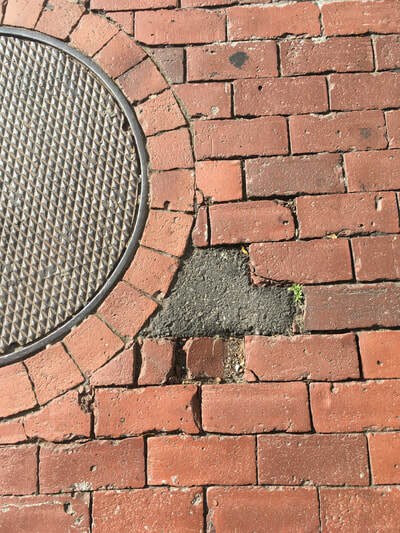 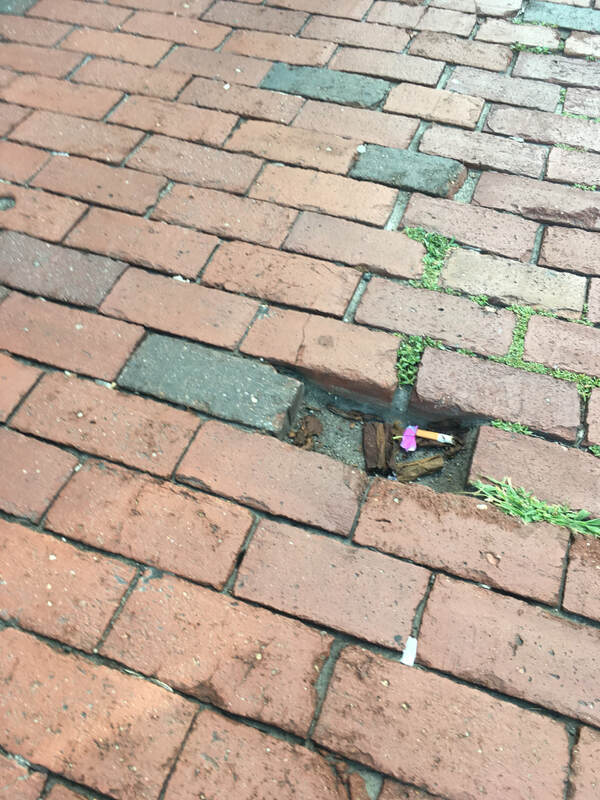 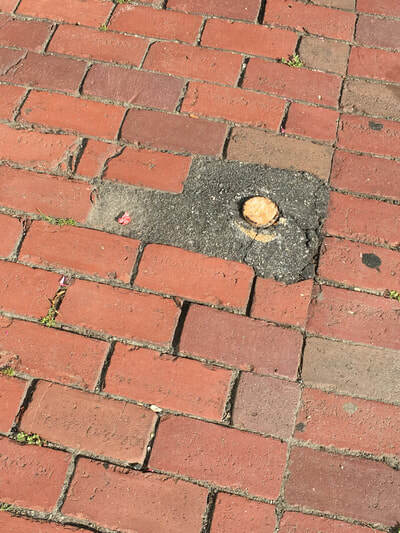 However, over time the remedy applied by the city to any brick sidewalk failure has been to simply patch a hole with asphalt, regardless of the size of the patch. 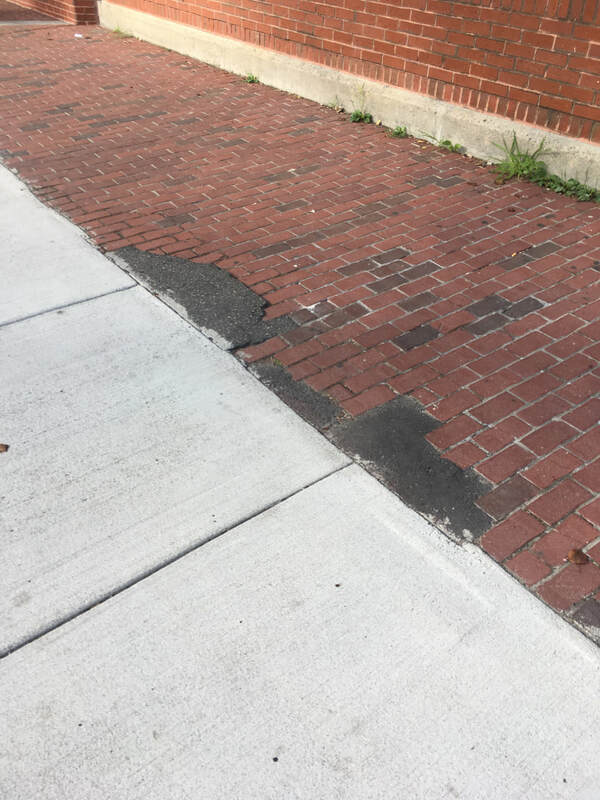 The result is an unsightly quilt of uneven black splotches that together convey the sense of a lack of care, decay and neglect. Taken together there are approximately 2,700 - 3,000 square feet of brick repair that needs be undertaken. What is the solution - what needs be done? 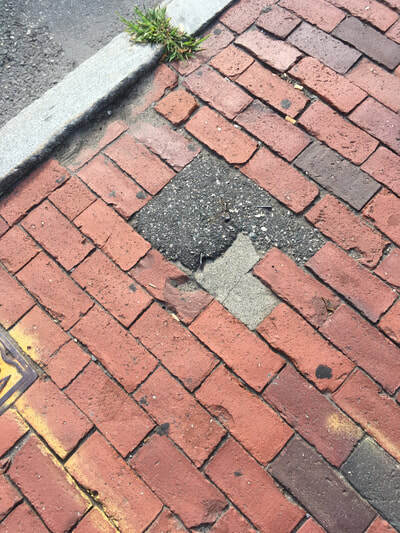 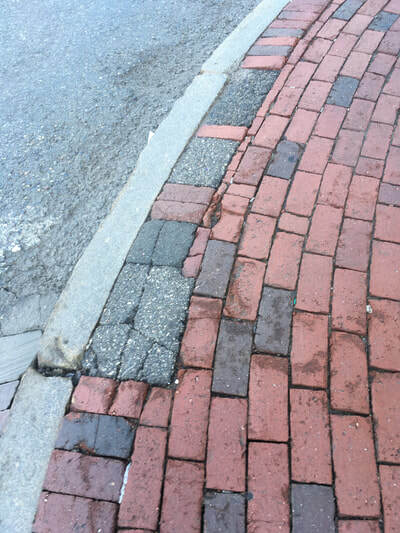 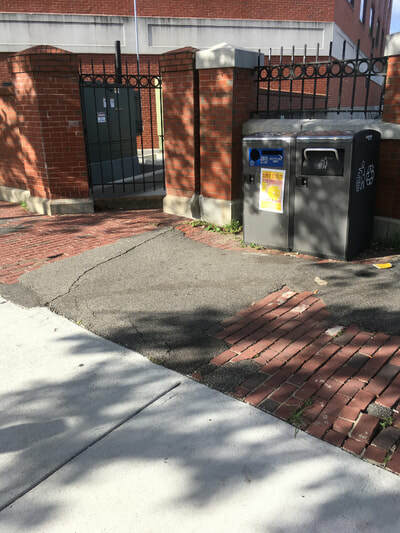 The answer is to fix the problem and return the sidewalks to a safe, level and contiguous brick surface. 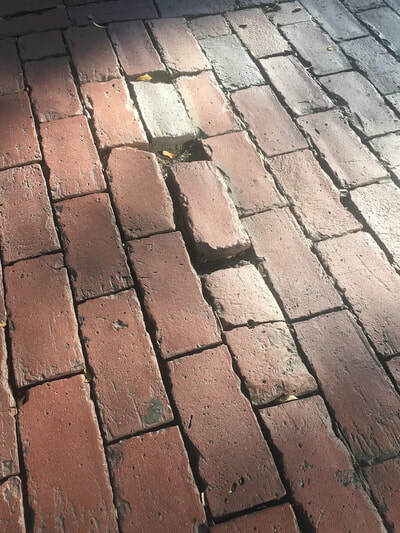 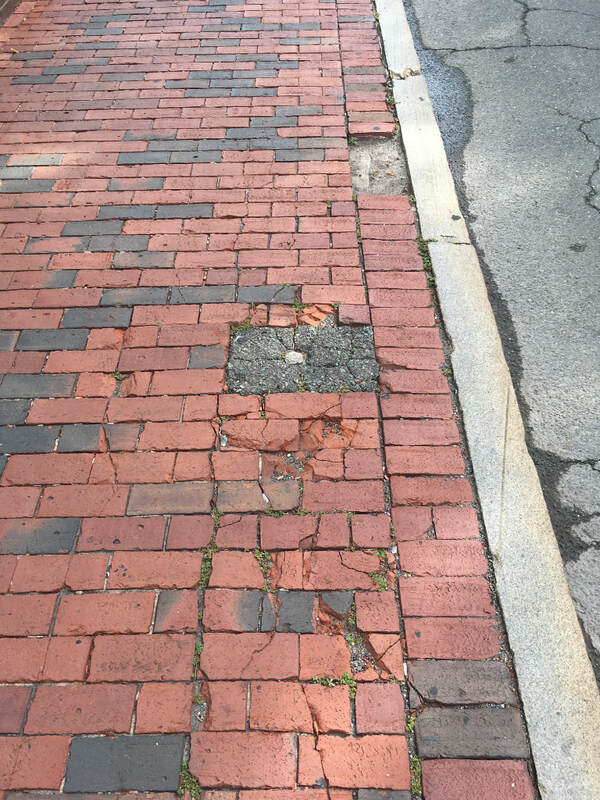 DavisNow is not suggesting a total replacement, but fixing the missing bricks and the uneven surfaces. The work that needs be done is the removal of the asphalt, replacement with bricks properly leveled and set into place. 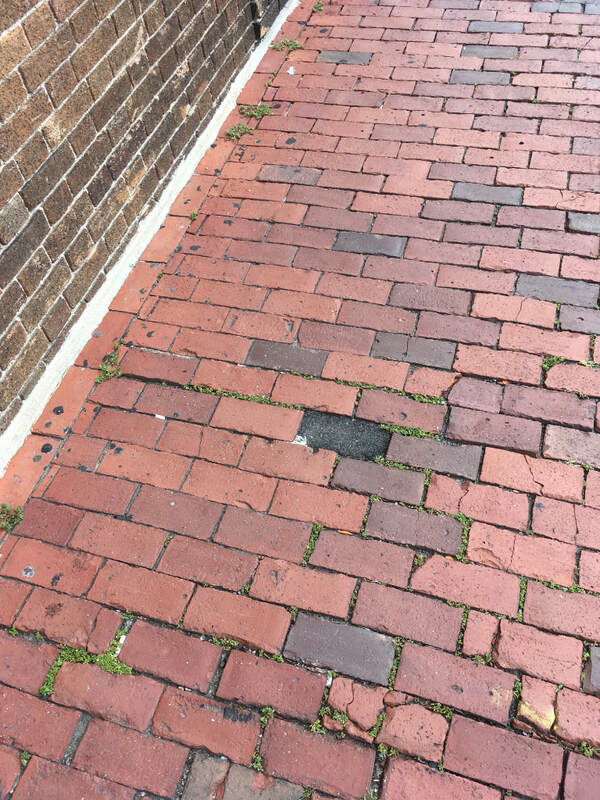 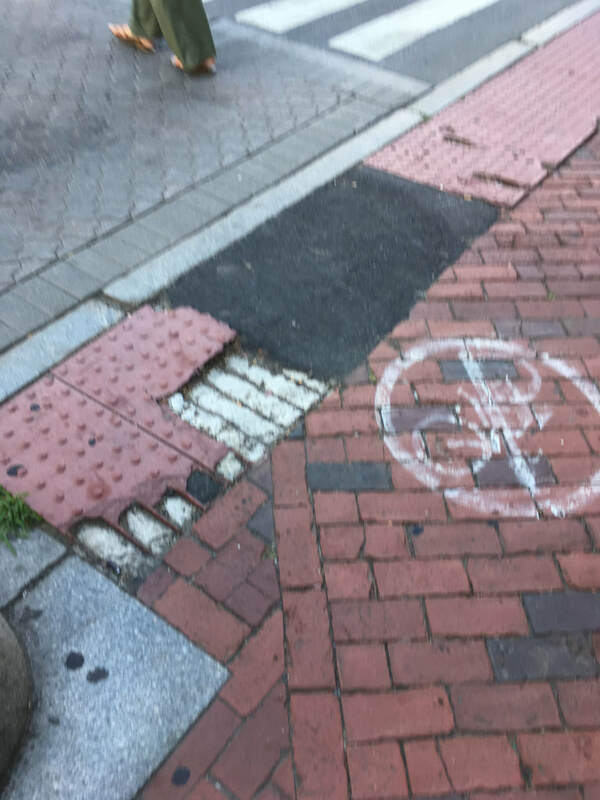 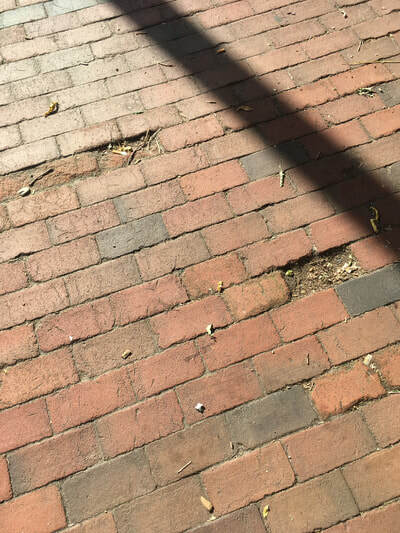 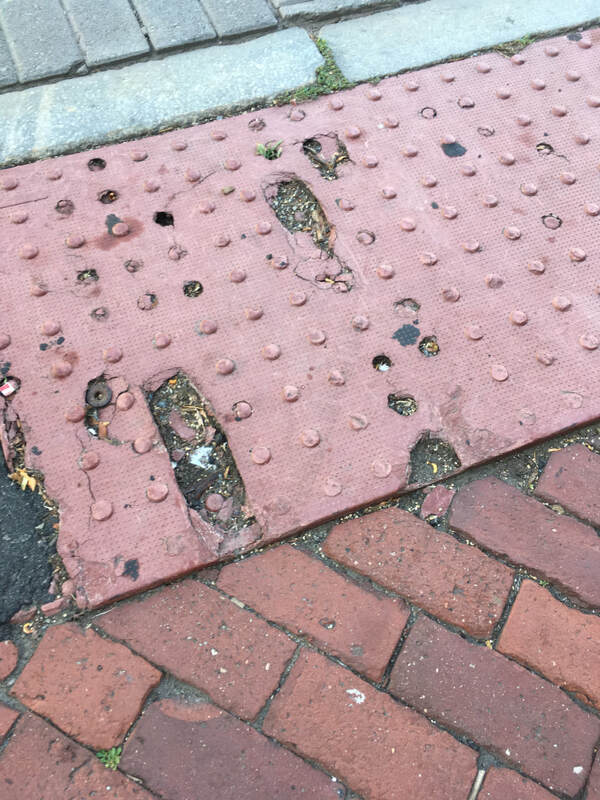 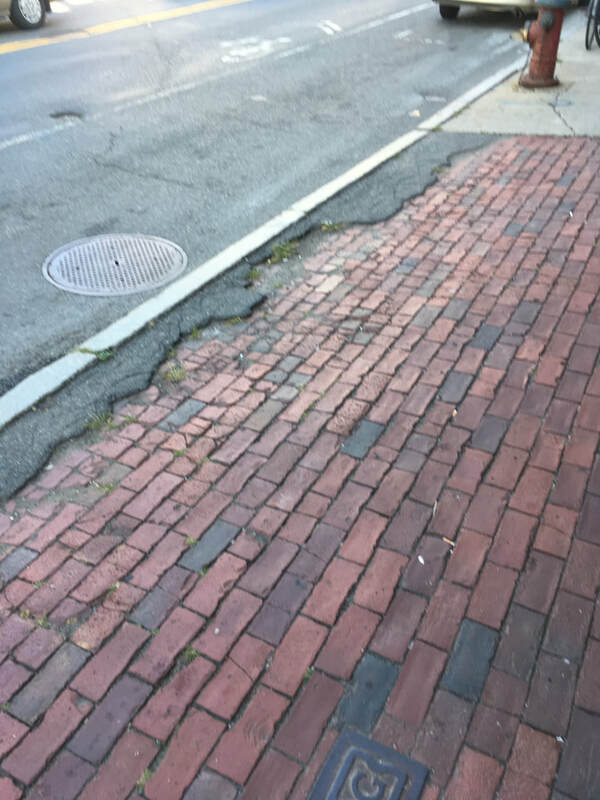 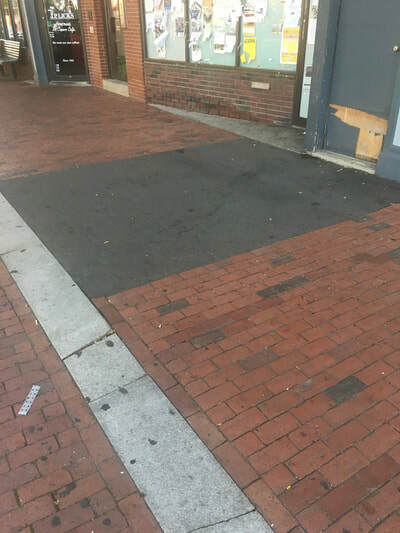 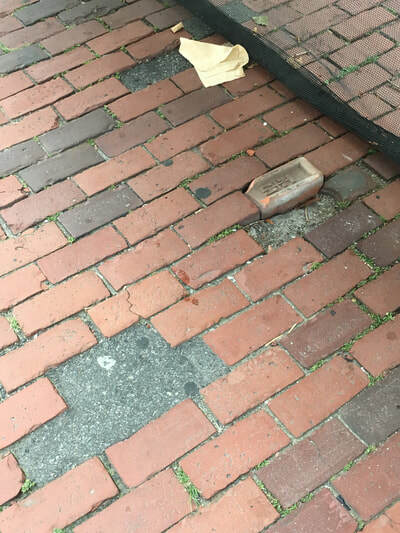 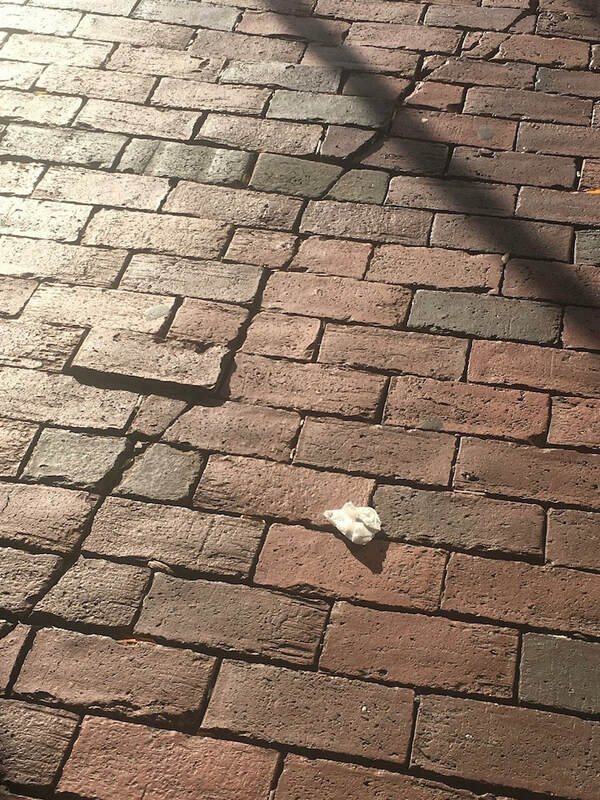 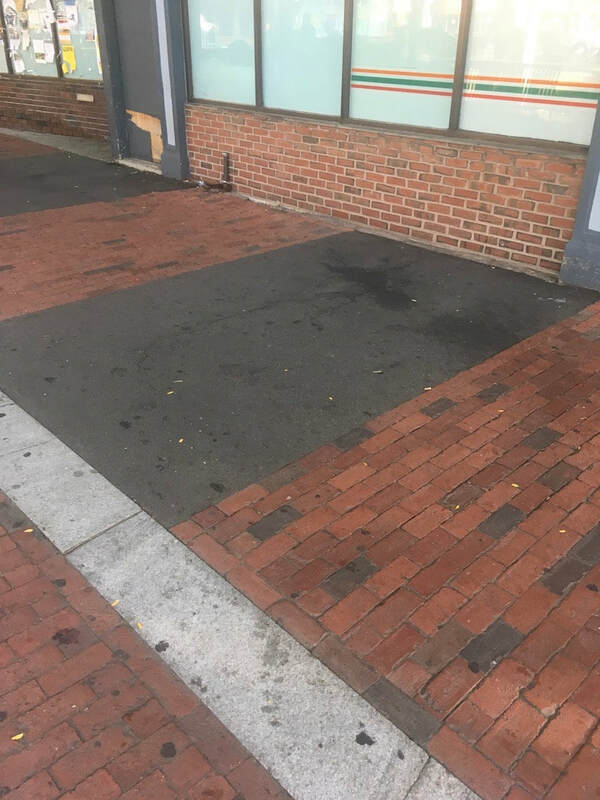 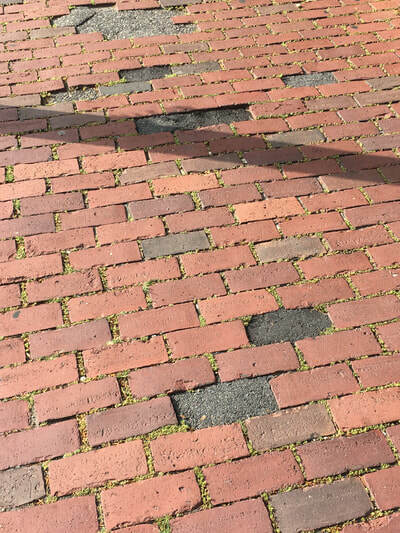 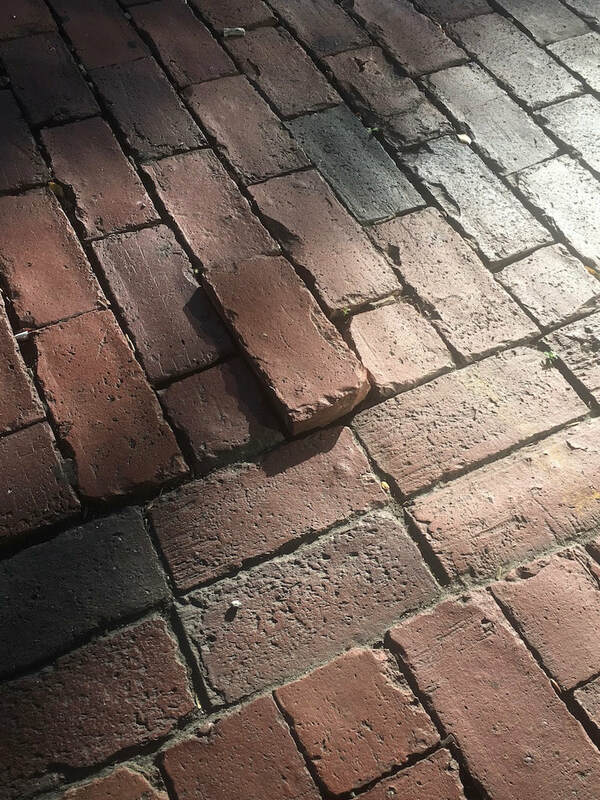 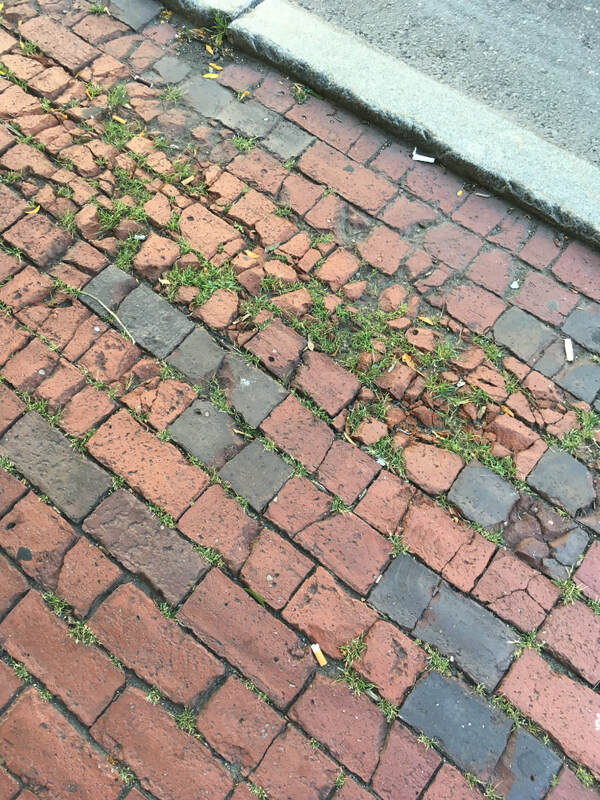 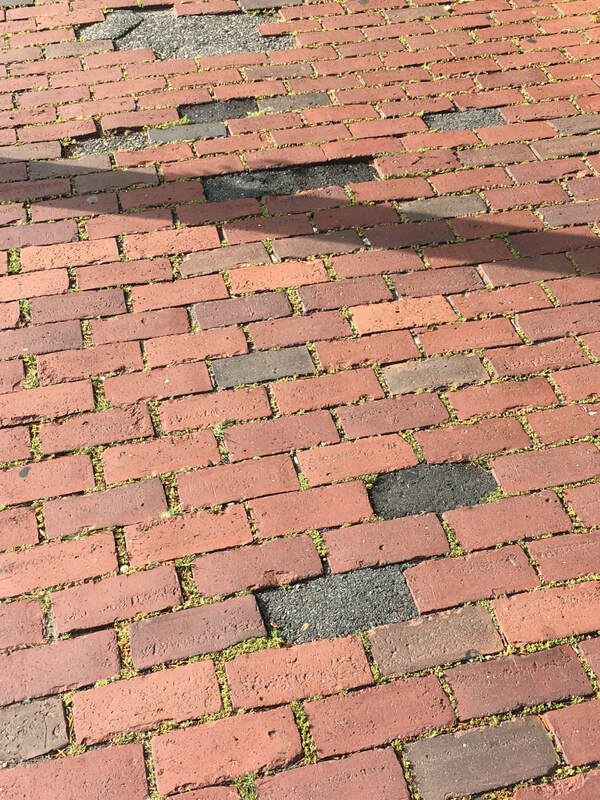 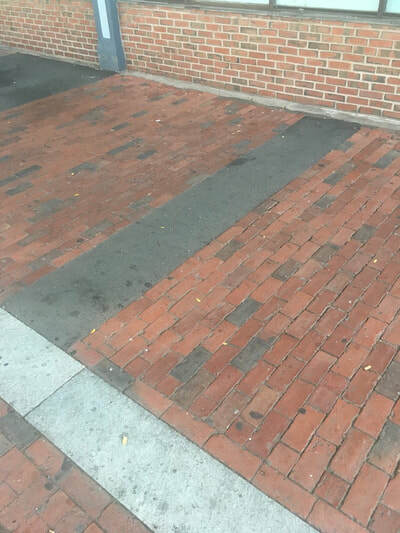 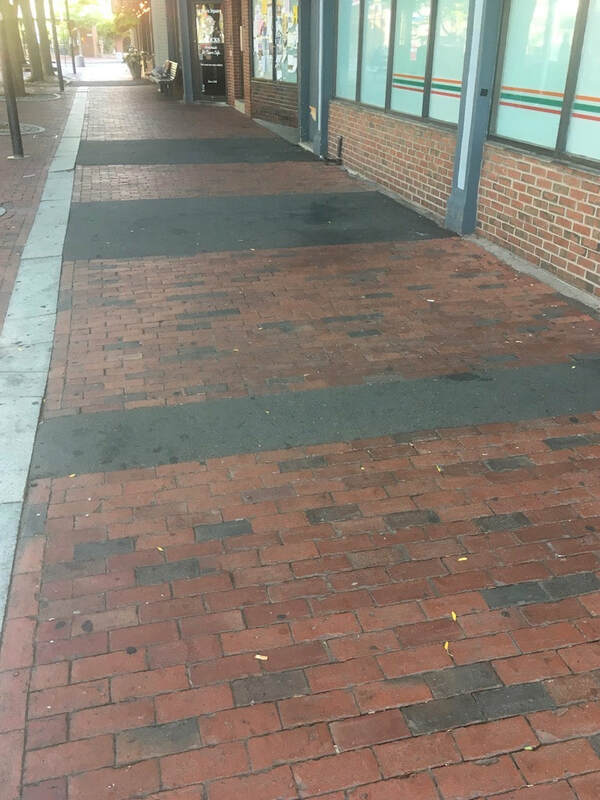 The following are just 40 of over 50 images of brick sidewalk issues that urgently need remedy.